I have been trekking to Makati to catch the EXPOMOM event of MommyMundo for the past few years. I am soooo very happy and giddy with excitement that they're heading to my turf - TRINOMA!!! So happy that they'll be in Trinoma on July 16 and 17! So reserve your weekends and catch this lovely expo! 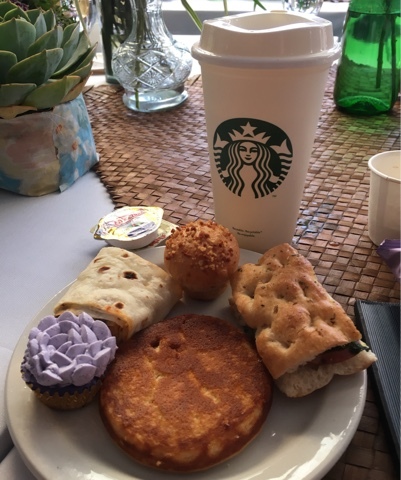 Expo Mom: The Motherhood Journey kicked off its flagship event for the year at the Glorietta Activity Center last April then going all over the Philippines to connect with fellow Filipino moms in Cebu, Bacolod, Davao and CDO. Expo Mom spent a weekend in Cebu on June 18, then Bacolod on June 25. After, we head back to the Metro and stop over in Alabang on July 2. Next stop, is in YOUR side of the metro! 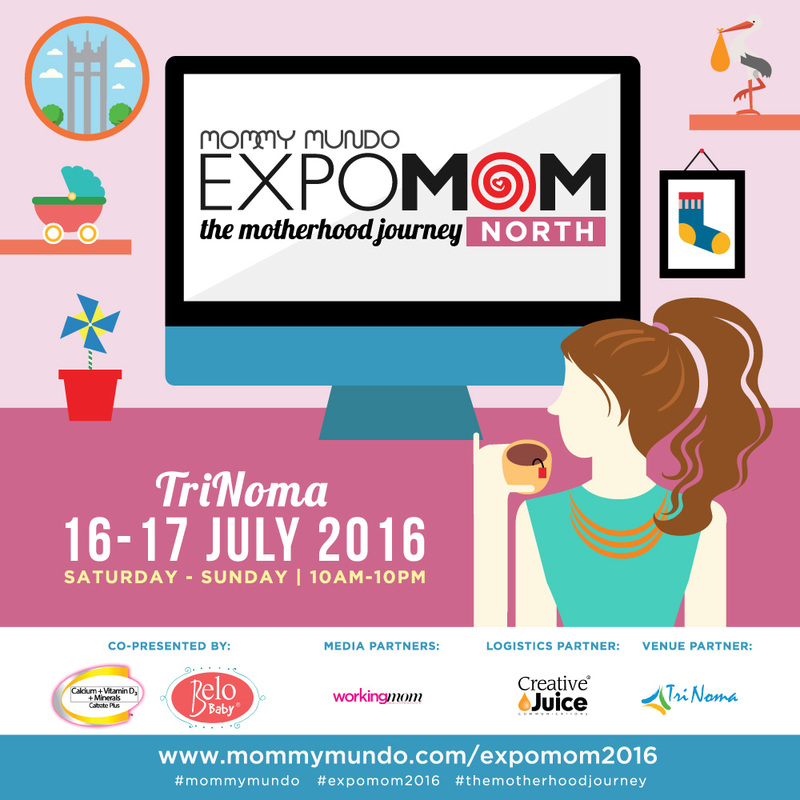 Mommy Mundo visits TriNoma with EXPO MOM NORTH on July 16-17, 2016, Saturday to Sunday at the TriNoma Activity Center, from 10am to 10pm. Visit our gathering of active moms and dads, visit our booths showcasing the latest products and services for parenting, and listen in on our talks and workshops onstage. Most important of all, meet and connect with fellow moms and celebrate the motherhood journey. Expo Mom: The Motherhood Journey is co-presented by Caltrate Plus, and Belo Baby and supported by Working Mom Magazine, TriNoma as its venue partner and Creative Juice Communications as logistics partner. Expo Mom, running since 2008, is the banner event of Mommy Mundo, an organization dedicated to educating, inspiring, and empowering moms with useful, relevant, and up-to date information and support. 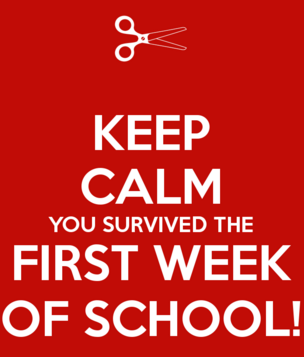 I survived the 1st week of school! It's a good thing, I'm a morning person. I don't mind the waking up. It's the looooong day ahead that is quite challenging. Let me tell you what my days and week has been made of. Woke up at 5:15am. Started to wake Kailee up and as expected, she was still sleepy. I wrote about our day HERE. What happened next was that I went to the office and had a full day. When I got home, I felt normal. I thought to myself, I was still good - tired but not to the brink of dragging myself to eat and wash up. It was when my back hit the bed that I realized how tired I felt. I woke up at 5:15am and didn't have any time to nap (if you do, you're one lucky duck!) and had a full day. Lying on the bed was such a good feeling. I am one who sleeps the latest - because I want the feeling of sleepy-ness before sleeping. I can't just close my eyes and count sheep to sleep (counting makes me more awake!) I think within minutes of closing the lights, I dozed off. Woke up at 5:15am again. Woke Kailee up. She was already awake but she was pretending not to be awake. It wasn't hard to wake her - she wore her uniform and was cheery. I brought her to school and waited for her to go to class. Since she was going to be dismissed at 9:30am - I just waited for her to finish. I had breakfast with Shirley - Panget's cousin (she was the one who introduced me to Panget) and Cherry (a college barkada, she had a daughter in EduPlay) and when we were done, we headed back to ICA to fetch our girls. Since it was Connor's first day in EduPlay, I decided to stop by to visit him. He looked like a big boy. It was a proud moment and at the same time, I can't believe that he is attending school already. I felt a pinch in my heart, but that's life - diba? He looked really happy in school and when he saw us his face radiated with happiness and he told us *Me brave! Me didn't cry! * I was reluctant to go home, but I had too. We were still very early for Connor's dismissal of 11:30am. When we got home, Kailee changed and in a bit, I had to leave to pick up Connor. I know what you're thinking - why didn't I just wait for Connor? Well, one I had my in laws' driver with me, and I only told them that we'd be home by 11am so they can use him. I don't want to take advantage of their goodness, diba? So I left again to pick up Connor. It was honestly a shorter route, well only a bit shorter. But the traffic won't be as bad and I liked driving (crazy ba?). I was so proud of Connor because he was cheery and happy. He was so proud of himself too! We got home in time for lunch but Connor was a bit sleepy already, I could see it in his eyes! Would you believe it when I tell you that I fell asleep at 10am? I couldn't believe it too! I didn't have a hard time waking Kailee. She was already excited to go to school. She didn't eat much though (nag-mana sa akin) she just drank milk. We were very early because I leave the house whenever we're both ready, I didn't want to risk being late this week. I know that traffic was going to be crazy so it's better to leave early. I dislike waiting in traffic especially when I'm not driving. I found it odd though that at 6:30am the Kinder area was bustling with students already. I sat a bit far from the girls because I wanted to observe (and people watch, hihi) also, I needed to wait for Shirley as we were having breakfast with friends. I noticed that when we came in at 6:30am there were so many girls coming in too. Then at 7am, it sort of stopped. The rush came back at 7:15am with kids and parents and yayas running up the stairs. Shirley was running late because they took a different route - her husband ended up brining up their daughter. He was telling me how long of a walk they made. Kawawa!! In a few minutes, Shirley came in. Hihi.. We then headed to breakfast in Angel's Kitchen. I felt that breakfast was short. I guess when you're having fun, time flies quickly. We headed back to ICA and experienced my first ever *falling in line before the gate opened* Let me tell you, it was a bit of hmm, how should I say it nicely, a *different* experience. We were told by the very unhappy lady guard of GHW to wear our IDs. I wanted to ask her where the sign was because I know for a fact that we didn't need to. So I ignored her. Hahaha!! I wanted to retort back but I remembered during orientation that we were not supposed to engage the security, PLUS there was no signage that said we needed to wear our ID. So we waited. I felt it was such a waste of time and I felt really *bilib* with all the moms and yayas who had to do this EVERYDAY! They deserve an award! I am a very patient person usually but I become impatient when I don't see the logic in it. And I honestly don't see the logic in falling in line before they open the gates! When they finally do, we still needed to fall in line again to have our IDs scanned. It look a while to scan them too - and when it was over, it was free for all. We all brisk walked towards our daughter's classrooms to fall in line again. I realized that when I used to walk through these walls, things were different. But different doesn't mean it's bad - it just means that I will need to get used to some things now. A new normal. God help me! Waking up seemed automatic. Thanks to my FitBit's silent alarm! Woohooo!! Well, technically I didn't need to wake up BUT since my Panget was bringing Kailee to school - I had to bring them both to Shirley's. When I got back home - it was a few minutes after 6. The house was quiet. Connor was still asleep. It was only then that I realized that this moment was my *quiet time* So what did I do? hahaha.. I prayed the Divine Mercy and Rosary. It felt great after and when I realized that I needed to bring Connor to school, go back and pick up Kailee again. I woke Connor up. I didn't want to be late, so I hurriedly woke him up and brought him 30minutes early to school. I did think because of two things - one, so I can go home immediately and get ready to pick up Kailee. Two - because Connor enjoyed playing with the toys in EduPlay. Hitting two birds with one stone? :) Hihi.. When I got home, I had to get ready again to leave to pick up Kailee. Since there was a driver - I didn't need to drive, so I relaxed a bit. Or so I thought I could. I felt distracted, I can't explain why - but I felt nauseous. My head ached, throbbing headache. When we got home, I had to leave right away to pick-up Connor. When I got home - my headache had become a massive one. I think I was overwhelmed with the visuals I saw. Hahaha!! Never had a headache this bad! When I got home - I ate dinner showered and once my back hit the bed - I snoozed. Can you guess what time that was? 8 freaking in the evening! I suddenly woke in a jolt - I checked my FitBit and it was just 1:45am. Hahahahaha!! Thank God it's FRIDAY! My friend Kath said this last Friday - I can't believe I'm saying it too! I've never felt this kind of *relief*! Kailee woke up by herself at 5am. I was surprised because when I opened the door at 5:30am, she was already smiling and dressed! I hope she continues on this demeanor for the whole school year. So we left at 5:58am, I feel that this should be our usual time to leave the house to get to school early. We got to school by 6:30, I know it's still early but I'd rather she be early than late. Kailee observed and told me that she didn't like seeing too many cars on the road, she said *they cause traffic! * hahahaha. Smart girl! So I left her there and was hesitant to leave. I wanted to see her go to her classroom. You know, I often wondered why moms stayed until their kids are in their classrooms. Now I am doing the same! Hahaha.. There was a *kurot* in my heart when I waved goodbye and went down the stairs. I can't believe that this was happening, Kailee's really in big school. It's really start of a journey for her and for me too. I got home by 7:05. To tell you the truth, it was a different feeling. A new normal for me. And I was told by friends that this was going to be my schedule for the next 13 years (and longer if I have more kids). I realized that my day starts earlier than usual. 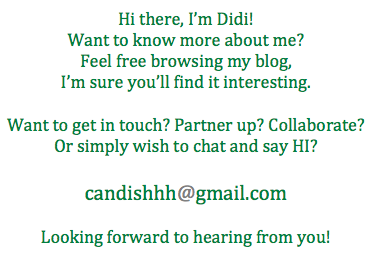 I feel I have more time (I might eat my words) to do things. It's just that I'd need to sleep earlier to get into the groove. I am thankful that my in laws lent me their driver and car to bring Kailee to school, it's a big help and I appreciate it very much. I am thankful for Shirley because we live nearby and I have someone to ask for any concerns (since we have kids in the same batch). I am thankful for Kath, Maymay and Tin for being my *Breakfast Friends*, their support means a LOT. I am thankful for Cai and Kaye because they are on the receiving end of my rants and I love them dearly. I am thankful for Edmund because he bring Connor to school. I am thankful for my mom and brother because they're understanding of my schedule. I am thankful to God because of his many many blessings. I haven't been updating because I'm still getting used to things. Thanks for still visiting! 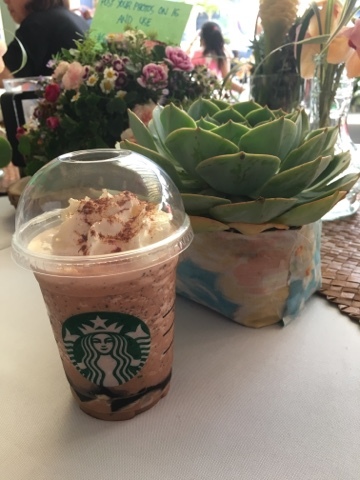 Summer isn't over yet for Starbucks! In fact - it just started. 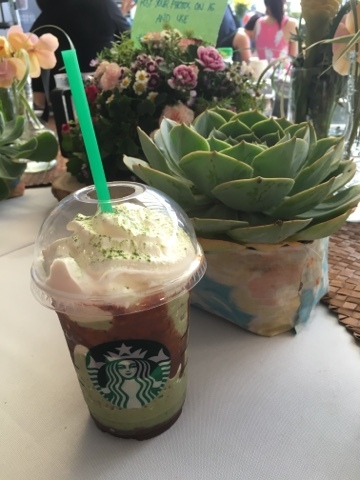 Here are the two new drinks of Starbucks this Summer!! As for the food, they're heavenly as usual. They do have a new player though - the Cassava Chips! It's the healthier type of chips - it's GLUTEN FREE and a bag is only 100 calories! Hihi.. They taste good too! Even before I had kids, I already had a soft spot for kids. And when I had kids, well that soft spot grew into something bigger. My heart became more sensitive when I saw and learned of kids getting sick. When my kids got sick - I wished it were just me. They look so helpless. Last year, when I had a miscarriage, I appreciated LIFE more. I learned that conceiving is not easy and I also learned that things may not go as planned. I learned to be thankful with what I had and to enjoy what is there. Late last year, a little girl came into our lives. Even before she was born, most everyone loved her. So when she was born, we were all excited. We were all hopeful because even if she was diagnosed to have a condition called Spina Bifida, her condition according to the doctors her parents consulted were quite positive because it was at the lowest part of the spine. When she was born, she already had an operation to close the opening and everything was fine. Weeks and months passed and we loved her even more. One day, we were told that she had contracted a bacteria that causes fluids to stay in her brain. We prayed and hoped for the best. She was confined in the hospital for months and when she finally got the go signal to go out - we celebrated her return home. I personally pray for her healing everyday. To be honest, I am in awe of her mother's strength. She's very positive and hopeful. She told me that there are bad days and good days. I can only imagine how her bad days are, but what she told me struck a cord - at the end of the day, we want to be the best parents we can be. That is so true. When I learned of #CourageousCatie, my heart bled. How can a child go through what she was going through. When she was finally diagnosed with a rare form of cancer, we all rejoiced because we thought that the doctors can now focus on curing her. My heart bled more when I learned of her passing. No parent would ever want to bury their child. And it was painful to see pictures of Catie's parents hugging her one last time. What was good out of everything that happened to them was that Catie was not suffering anymore. A lot of people celebrated with her parents. Just last night, I learned of a friend's daughter who has cancer. She's just a year a few months old. MY heart broke again. 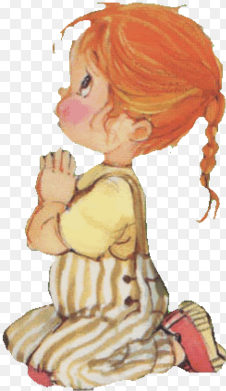 Before going to sleep, I prayed - I prayed for the little girl and my friend's daughter. I prayed for healing. I prayed that their parents stay strong. I have learned not to ask WHY these things happen. 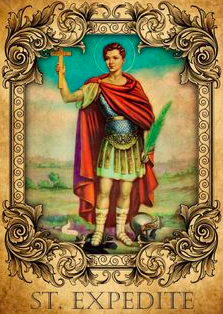 I learned to ACCEPT and pray for more strength for myself and the parents. I honestly don't have a clue why these things happen, but I know that they do. Things happen for a reason. As cliche as it sounds - they really do. So to the parents of these two little girls. Know that I am praying with you, everyday. I honestly don't know what to say or do to make you feel better. So I'll just pray with you and pray for you. You have a prayer warrior in me. If you will, please say a prayer for these two girl's healing. I would appreciate it very much. When you say Domestic Violence and Abuse the first thing that comes in mind is when a husband beats up a wife. Through the years of being married, I realized it's not the only way that *abuse & violence* happens in a marriage. There's verbal abuse, emotional & psychological abuse, economic abuse, sexual abuse and a whole lot more. Apparently, its not confined to just physical abuse. 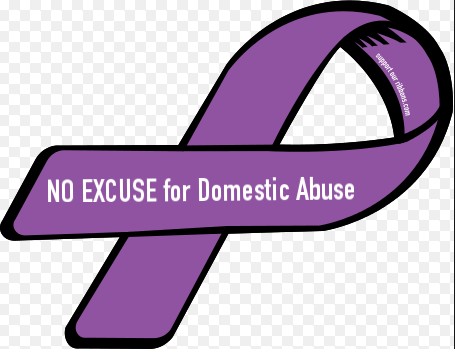 I personally know of two people who are victims of domestic violence & abuse. And one thing I learned from them is that they didn't think people would believe them when they said their were victims of domestic violence and abuse. They didn't know where to go, who to speak to or if people around them would believe them. I felt really sad and bad because why would people not believe them? They both told me it was because their husbands do not look the part of an abusive husband. Are we all confined to what looks normal and abnormal to gauge if a person has the tendency or capability of abuse? I hope that we have not - but in reality, it's true. We base our judgements on the looks - do they look normal or harmless? Well, in short - I realized one can pretend. I mean come on, why would you want people to know and see a person's violent tendecies, diba? Okay - being married for almost 7 years taught me not to judge married couples. Each couple has their own problems. Obviously, we don't air our dirty laundry in public, but what I learned is that what we see is not what usually is the real situation. Some married couples are very good in *pretending*, but when they're alone in the privacy of their own homes - that's where the truth exists. Most of us are usually hands off saying *Problemang mag-asawa yan / It's a domestic issue* and that we're not supposed to meddle. I want to know - how and when do we draw the line? I know we SHOULD draw the line, but how and when? I remember being told to run as fast as I can when a partner starts hitting you. That's what the mind knows and says. But what does the heart say? The heart says to forgive them when they say they're sorry. But if happens again - and you forgive them again. The cycle is endless and I feel that it has to end. But it's not as easy as it sounds. Doing it entails a lot of thinking, courage, physical strength and determination. There are so many considerations - if there are kids, well - that decision will be harder. I was also told that the law *Violence against women and children* is quite difficult to prove and takes a loooong time to move forward. Why? Why make it hard? Maybe because we still belong to a very male dominated country? I am dreading the traffic. The waking up before the sun is up. The waiting game for my kids to get ready for school. But this will be my norm - for the next 15 years. Reality check: My kids are growing up. FAST. It seemed only yesterday I gave birth to these two kiddoes of mine. But in a few weeks, well - they will both be going to school. Kailee will be in big school, while Connor will be in pre-school. Time flew by so quickly, so very quickly. I have been around the Metro for the past few weeks and I realized there are so many road repairs EVERYWHERE. How the hell will we get to our destinations on time with the roads having just one lane to pass through? When repairs started in March, I assumed that it'll be finished in time for school openenings in June! Boy, was I wrong and that means only one thing - GOOD LUCK TO ALL OF US! I honestly don't have a problem waking up early in the morning. But as usual, you know the feeling of reluctantly waking up because there's school? Hahahaha!! That's my problem. I think that's everyones problem - hahaha!! :) It was only now that I realized that even if I wasn't going to school anymore - I need to bring my kids to school, thus - like them - I need to wake up early! I have a dilemma, can you help me? You see, I still want Kailee to sleep in the afternoon. Because of sure she will be so tired from school. But I also want her to sleep early in the evening. Now - is that even possible? Ideally, I would like for her to be in bed by 9PM. Is this *idea* realistic? Some friends omit the afternoon nap from their schedules because afternoon naps make their kids sleep later in the evening. During my time, I remember sleeping in the afternoon and feeling really sleepy when the clock hits 9. Is that still possible? Hahaha!! And I wish us all good luck this coming school year! !